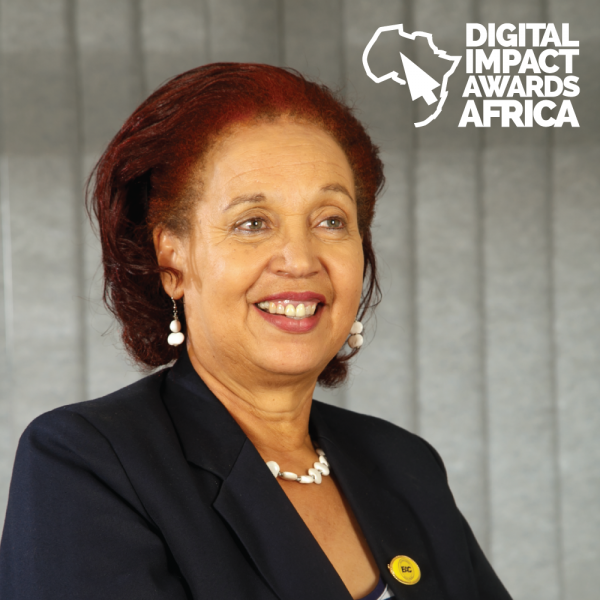 Kampala, Uganda; Former Uganda Investment Authority (UIA) Executive Director, also senior consultant at the United Nations Industrial Development Organization (UNIDO), Prof. Maggie Kigozi will receive the 2017 Digital Impact Awards Africa (DIAA) Investment Leadership Award. The prestigious Award will be presented on 22nd September at the Kampala Serena Hotel by Hon. David Karubanga, the state minister for Public Service, member of Parliament Kigorobya Constituency, Hoima District also DIAA patron. The DIAA Investment Leadership Award, created in 2017 goes to an individual or group of individuals who has/have through the years exhibited exemplary business acumen through promoting investments (some in digital and financial sectors), creation of employment and playing a crucial role in citizens’ empowerment. “We are recognizing Prof. Maggie Kigozi for her outstanding contribution towards industrialisation, attracting and nurturing investments, empowering women and youth and supporting the sports and creative arts industries over the years. Majority of the investments and establishment such as telecoms, ISPs, and banks which are leading the current digital revolution and financial inclusion in Uganda were possible under the leadership of Prof. Maggie Kigozi” Innocent Kawooya, CEO HiPipo said. The 4th Digital and Financial Expo, featuring Digital Impact Awards Africa is scheduled for 21-22 September 2017 at Kampala Serena Hotel. The project includes an exhibition of innovations, products and services in the digital and financial services space and their application to the different economic sectors. Building on from the last 3 events, the project’s growing success is fostered by different individuals’ open mind embrace of promotions, projects and events that propel our innovation and investment environment. Prof. Margaret Blick Kigozi, popularly known as Maggie Kigozi is a Ugandan Medical Doctor, Business Consultant, Educator, Sportswoman and Mother. Director/Owner at Crown Beverages – June 1994 to date. Chair of the Board Zuri Model Farm Ltd – April 2013 to date. Chancellor of Nkumba University – Until 2011. Founder Uganda Investment Authority Women Entrepreneurs Network. President, Business and Professional Women (BPW) Uganda. Consultant at the United Nations Industrial Development Organization (UNIDO). Member of Global Banking Alliance for Women (GBA) Advisory Board. Chief Scout of the Uganda Scouts Association. About Digital Impact Awards Africa (DIAA). Under the theme ‘Maximizing the Digital Dividend’, DIAA is a platform that promotes Digital inclusion, Financial inclusion and Cybersecurity. The Awards seek to recognize and appreciate different organizations and individuals that are spearheading the use of digital mediums. Digital Impact Awards Africa is organized by HiPipo.